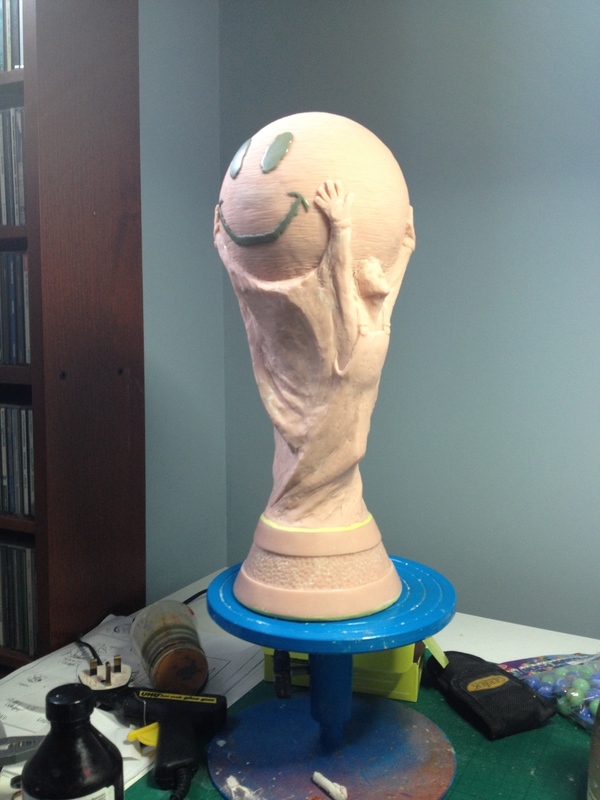 Artist Ryan Callanan AKA RYCA was commissioned by DJ Norman Cook AKA Fatboy Slim to make a replica of the FIFA World Cup. He was going to be playing a few gigs in Brazil during the tournament and wanted to have a piece of artwork that he could have onstage with him as he performed. Both Norman and Ryan are big fans of the "Smiley" icon and Ryan uses it a lot in his work. 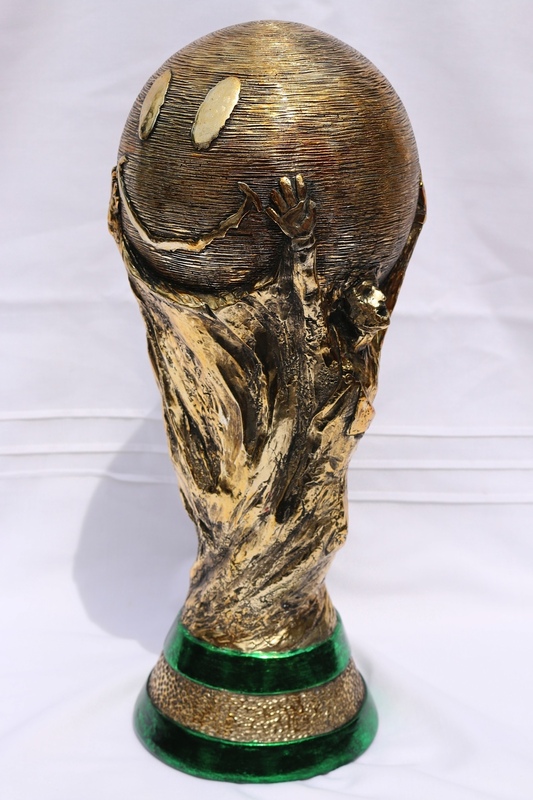 It was decided that the trophy would be a copy of the original but with the globe being turned into a “Smiley” and the figures supporting it would become ravers that would be wearing dungarees and gloves.